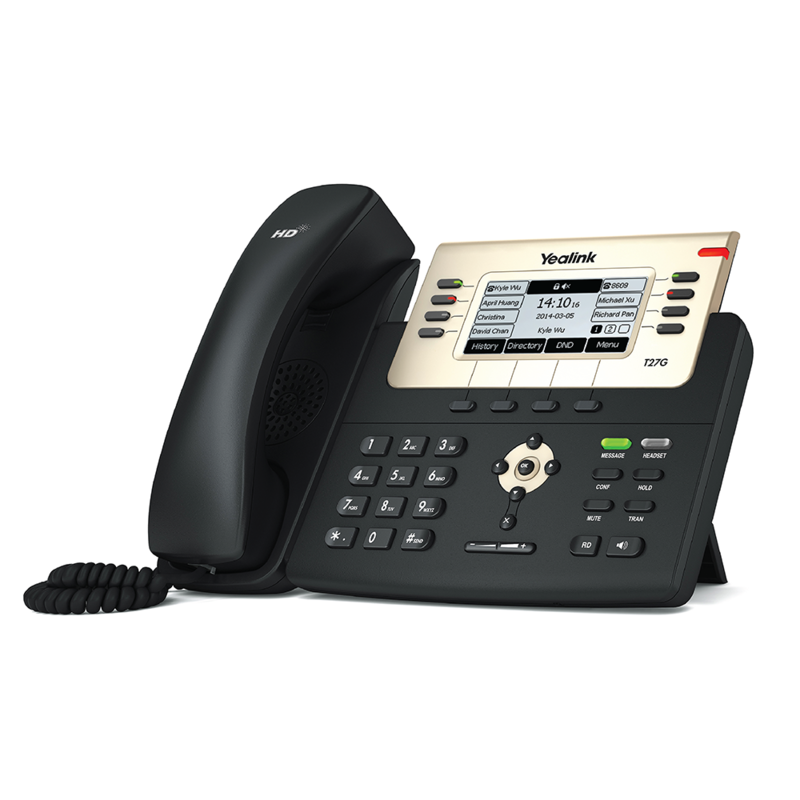 With faster response on the phone’s user interface and better device performance, the SIP-T27G IP, is a feature-rich gigabit phone ideal for reception and executives. 8 line keys and 21 Memory keys. Call forward, call waiting, call transfer, call hold, mute and DND. 66″ 240×120-pixel graphical LCD with backlight.